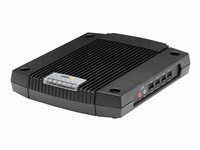 AXIS P7214 is perfect for small and medium analog video installations, especially where an IP network infrastructure is already in place. It is designed for installation close to the cameras. 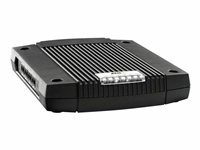 The encoder is powered over Ethernet using the same cable as for data transmission, which simplifies installation. A power supply is also included in the package. 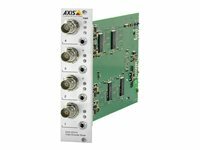 AXIS P7214 can deliver two simultaneous video streams, one in H.264 and another in Motion JPEG, at full frame rate in resolutions up to D1 (720 x 480 in NTSC, 720 x 576 in PAL). The H.264 video compression format drastically reduces bandwidth and storage requirements without compromising image quality. Motion JPEG is supported for increased flexibility. 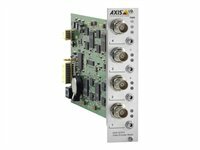 AXIS P7214 can deliver two simultaneous video streams, one in H.264 and another in Motion JPEG, at full frame rate in resolutions up to D1 (720 x 480 in NTSC, 720 x 576 in PAL). 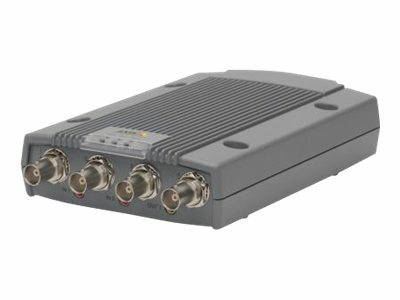 The H.264 video compression format drastically reduces bandwidth and storage requirements without compromising image quality. Motion JPEG is supported for increased flexibility.